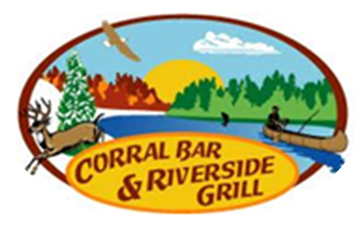 Served 5:00 a.m. until 11:30 a.m. daily. 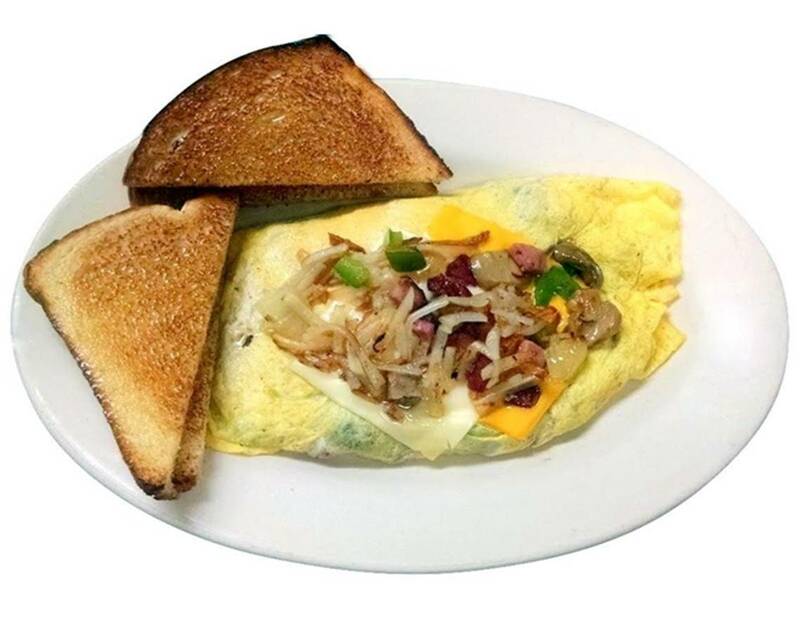 Available all day at the kitchen’s discretion. 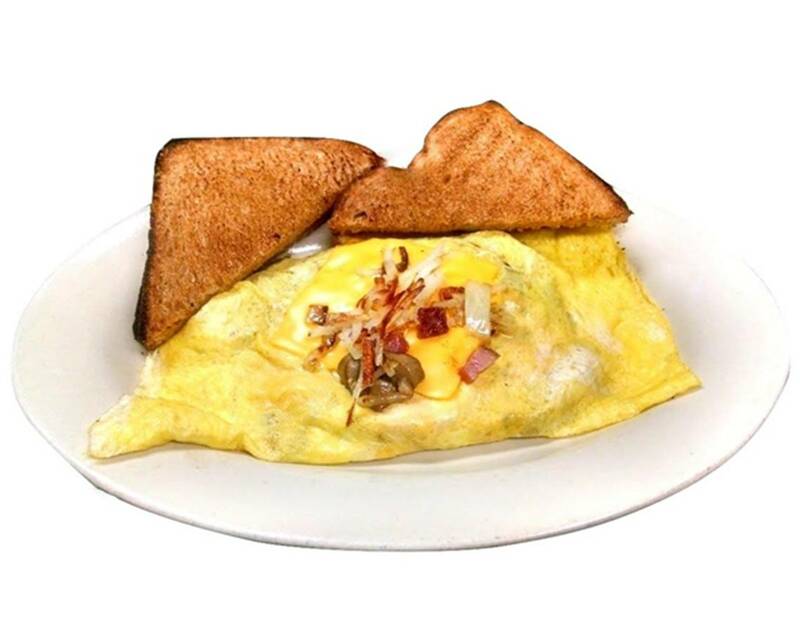 All omelets are served with wheat or white toast. Two fluffy biscuits topped with country sausage gravy. 8 oz. balltip sirloin with two eggs, hashbrowns and toast. 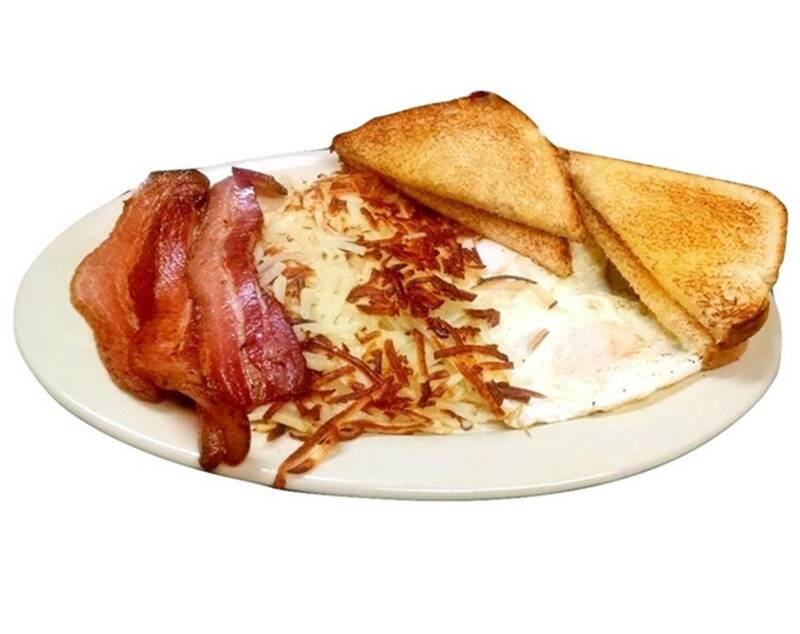 Two eggs any style, hashbrowns, toast and your choice of ham, bacon or sausage. Fresh garden goodies and melted cheese. Melted cheese, ham, mushrooms, onions and hashbrowns. Ham, sausage, hashbrowns, bacon, onions, mushrooms, peppers, Swiss & American cheese. Bacon, sausage links, sausage patties or ham. *The Wisconsin Department of Public Health advises that the consumption of under cooked meat, poultry, seafood or eggs may pose a health hazard. Served with your choice of dipping sauce. Additional sauce $0.40. Honey mustard, BBQ, Ranch, Chipolte, Sweet ‘n’ Sour, Frank’s Hot Pepper Sauce, Salsa & Sour Cream. 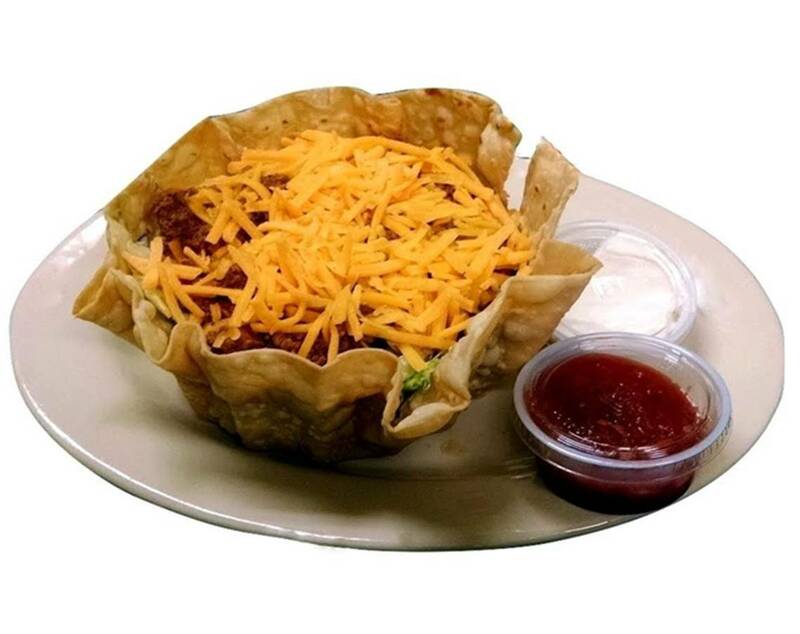 All of our salads come with your choice of two dressings. Extra dressing is available for $0.40. Salad Dressings: French, 1000 Island, Ranch, Bleu Cheese, Honey Mustard, Vinegar & Oil, Italian, Lo-Cal French, Lo-Cal Ranch and Raspberry Vinaigrette. 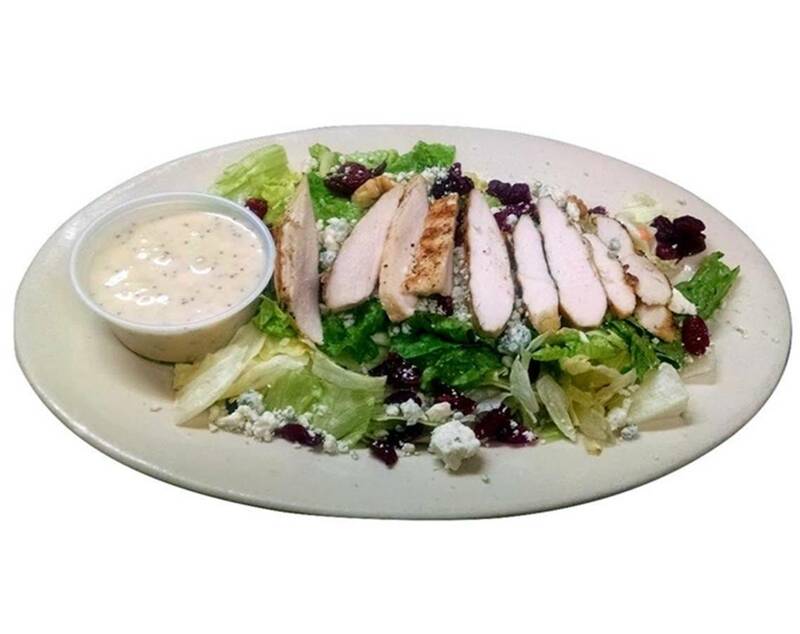 Grilled chicken breast served atop crisp lettuce and romaine, dried cranberries, walnuts and bleu cheese crumbles with poppyseed dressing. Available seasonally: June – September Seasoned fresh fruit and cottage cheese. All of our burgers are 1/3 lb. fresh ground beef and served on a freshly baked toasted kaiser roll. Burgers and sandwiches are served with chip and pickles. 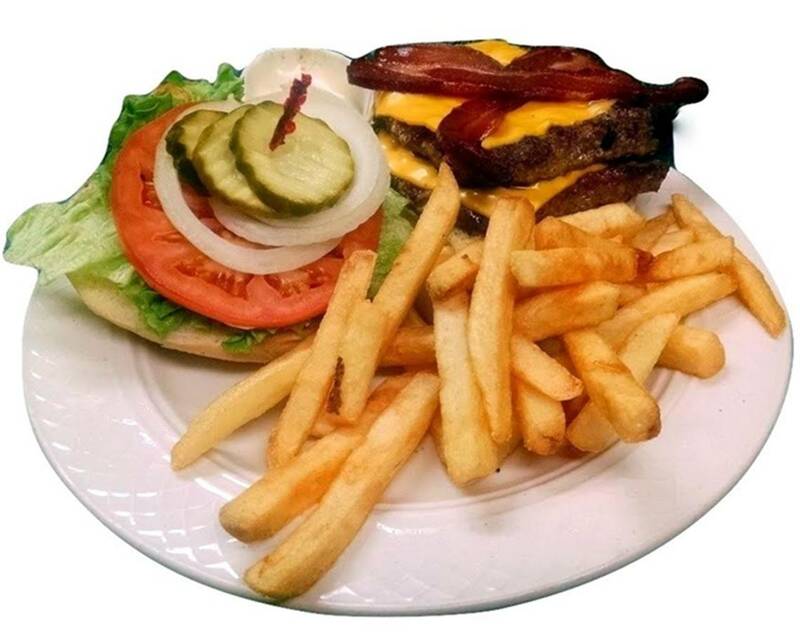 Substitute French fries for $2.00 or cup of soup for $2.50. 1/3 lb. patty only $2.25. Extra cheese or onions $0.50 each. Our Specialty! Two 1/3 lb. patties with cheese, bacon, lettuce, tomato, onion and mayo or chipotle mayo. Served with Texas toast and French fries. Substitute a side salad for fries for $1.50. 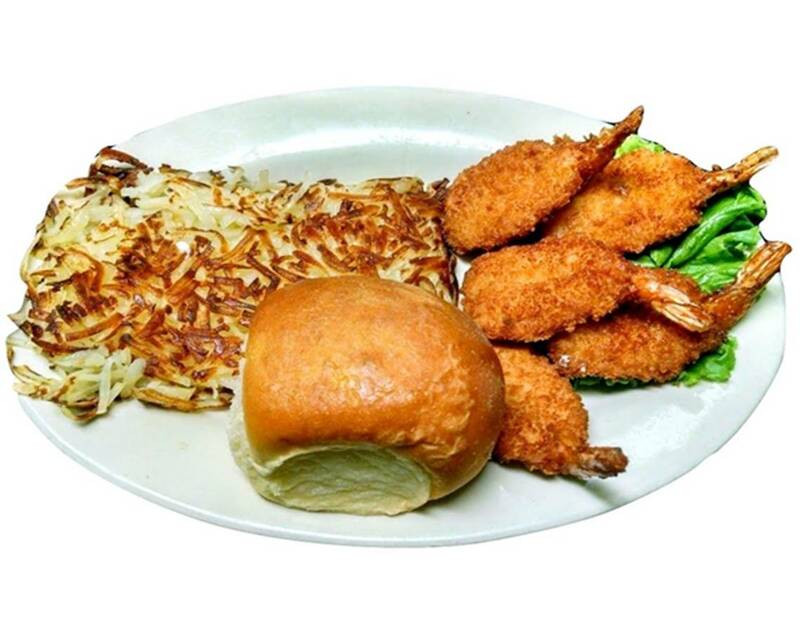 Add a cup of soup or side salad for $2.50. 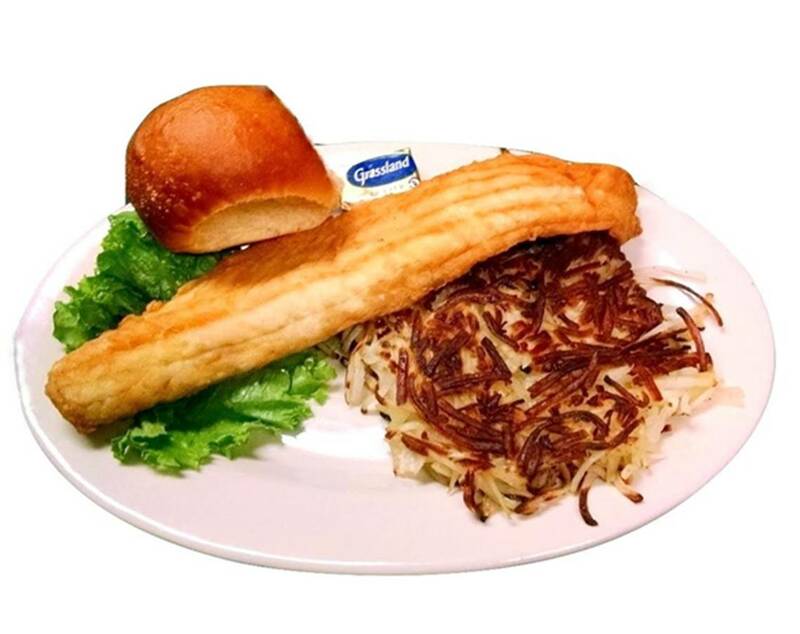 Served with your choice of potato, soup or salad and a dinner roll. Potato choices: Baked, Hashbrowns, Lyonnaise, American Fries, Mashed, French Fries, Beer Fries or Potato Salad. 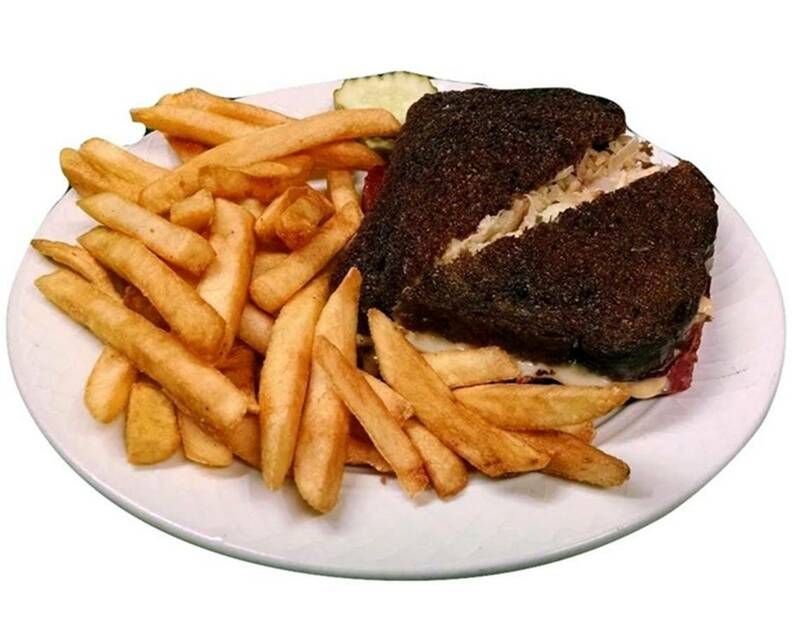 Surf and Turk any steak dinner with jumbo shrimp $2.50 each. Five breaded jumbo fried to a golden brown. 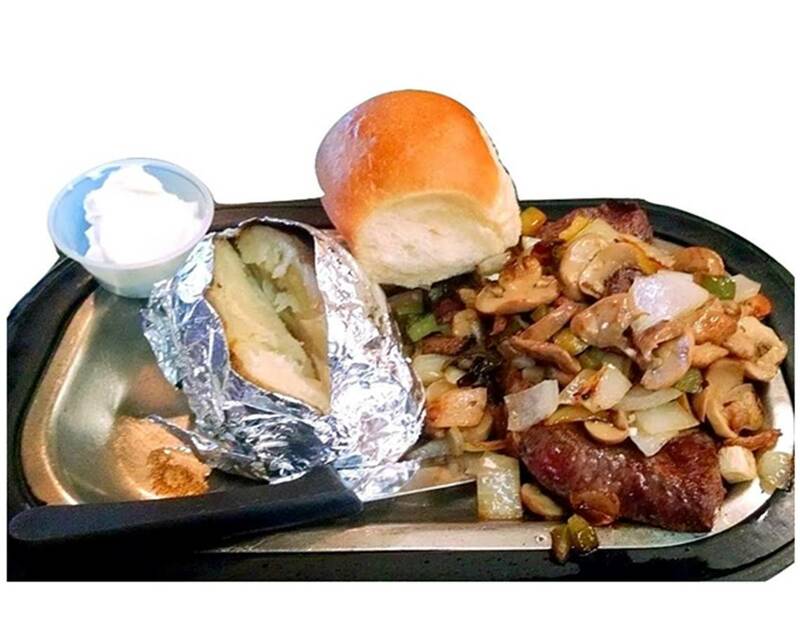 Seasoned chopped sirloin grilled to your preference. Our Friday favorite! 4 oz. Icelandic cod broasted to seal in juices and flavor. Served with 1/2 order of fries. Two breaded strips and a slice of Texas toast. 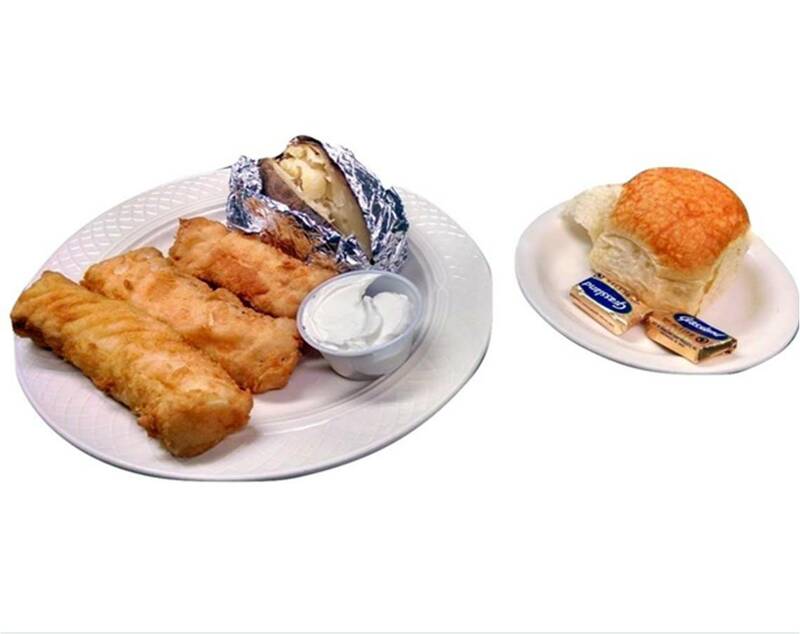 Call us at 715-672-8874 to place your order today!